Girard-Perregaux, an uncontested point of reference in the production of tourbillon watches, introduces a white gold version of its Tri-Axial Tourbillon. 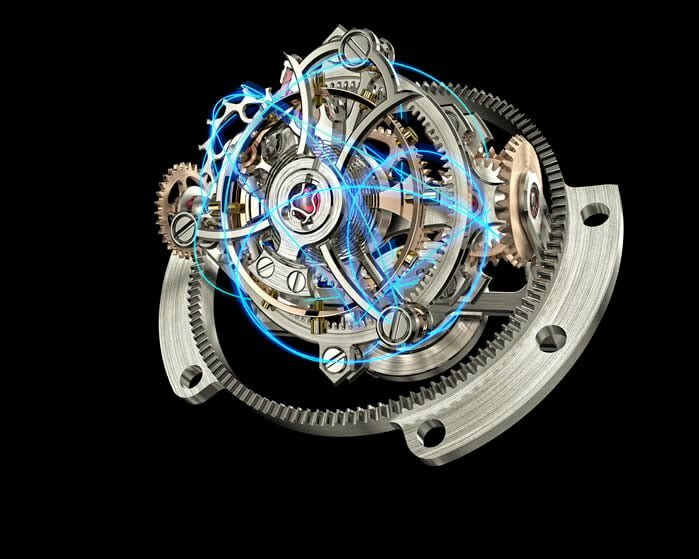 A spectacular watchmaking mechanism designed to maximise timekeeping precision by eliminating the effect of gravity on the regulating organ of the watch. Although the tourbillon was introduced more than two hundred years ago, watchmakers still trying to improve its efficiency. Girard-Perregaux, a great historical specialist in this queen of complications intended to combat the negative effect of gravity, now increases its complexity and pushes the limits of innovation. The Haute Horlogerie Manufacture has developed a tourbillon with a regulating organ that rotates on three axes instead of the traditional single axis. The balance performs a ballet that is much more captivating because of the high rotation speed of the different carriages. The interior carriage, shaped like a lyre in the Girard-Perregaux tradition, rotates once every minute. It is fitted into a structure that rotates on another axis every 30 seconds. Lastly, a third structure enables the whole assembly to rotate on yet another axis every 2 minutes. 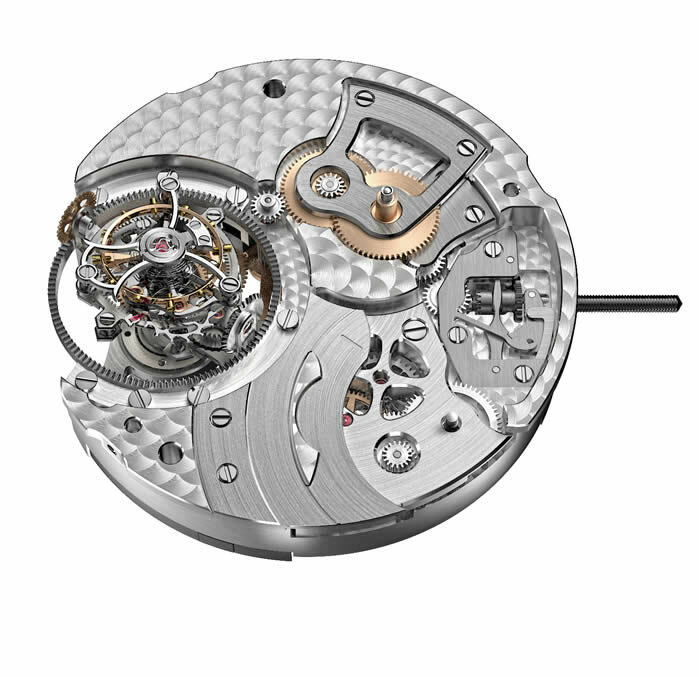 This complex mechanism is flawlessly finished, and its 140 components total only 1.24 g.
These different views of the movement reveal traditional and modern finishes of exceptional quality; mirror-polished surfaces and perfect bevelling indicate its pedigree, as do each of the components that are decorated and finished by hand with the greatest care. On the bridge side, the black-coloured plate, stamped with the Manufacture’s symbol, underlines the modernity of the execution in a play of contrasts with the iconic Girard-Perregaux arrow-shaped bridges in pink gold. The brand logo area, also in pink gold carries the individual number of the watch while “Tri-Axial” is engraved on the satin-finish circular bridge supporting the differential of the tourbillon system. It takes almost 160 hours for the watchmakers to assemble the 317 components of the movement, which is now fitted into a 48 mm diameter case in white gold. Typical features of Girard-Perregaux Haute Horlogerie collections are its bevelled bezel, elegantly curved middle and streamlined horns. The watch is perfectly complemented by a black, full-grain, hand-stitched alligator strap with a folding clasp in white gold. 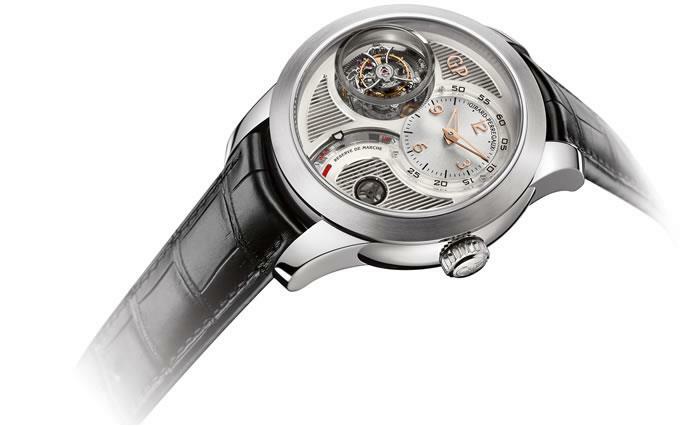 The Tri-Axial Tourbillon in white gold is available in a limited edition of 10 pieces. Next articleZenith Watches The Experience: Your watch will be eternally grateful to you !